There's something exciting about having a legend come to town, like when Bill Parcells took the Dolphins job, or before that, when John Legend had a show here and everyone just went totally crazy Bill Parcells came down for it!!! 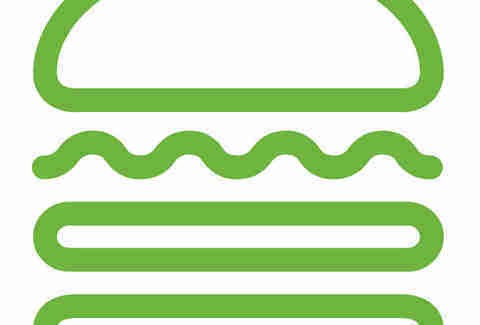 For a truly legendary NYC burger spot setting up shop in Miami, get to Shake Shack. 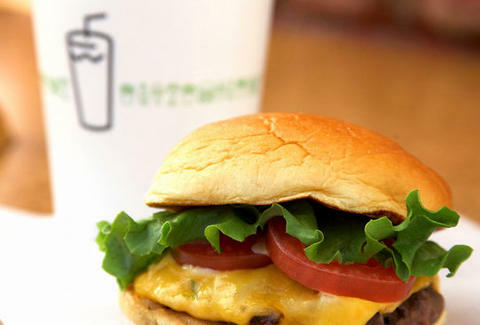 The offshoot of the same-named NYC Danny Meyer joint, which boasts cult-like acolytes who endure two-hour-plus waits for its burgers, Shack's built out with broad wooden planks juxtaposed with no-nonsense industrial steel girders and a wall-length menu, and creates surprisingly affordable burgers and shakes with the notion of preserving and adding to the traditional American burger stand, which for years have added to traditional Americans. The super-simple menu's (mostly) meat-bombs (fashioned from a proprietary blend of hormone- and antibiotic-free Black Angus) include hamburgers, cheeseburgers, the ShackBurger (single or double, with American and their secret pink ShackSauce); the vegetarian 'Shroom (crisp fried portobello filled with melted Muenster/cheddar and ShackSauce); and a 'Shroom & ShackBurger on top of one another called the Shack Stack -- also what you call your impressive collection of Kazaam DVDs. Beyond burgers there're Vienna all-beef dogs "dragged through the garden" (topped with tomatoes, onions, cucumbers, pickles, Shack relish, and celery salt), a kraut-piled NY Dog, and a dragged-through-the-garden Second City Bird Dog with sausage made from sage chicken, which really can't be all that wise, considering it ended up in a sausage. "Shake" means frozen custard in many glorious forms: shakes (vanilla, chocolate, peanut butter), floats (creamsicle, root beer), and Concretes, (dense frozen custards blended with mix-ins like Valrhona chocolate pearls), plus they've got beer: ShackMeister Ale on tap, which is specifically designed to pair with the burgers, something that can also probably be said of Parcells.